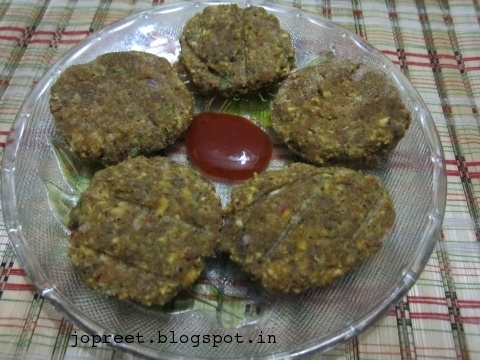 Bengal gram dal kabab (kadala paruppu kabab) is highly nutritious and good for diabetics patient. They should not use butter in this recipe. Bengal gram dal is the healthy source of carbohydrates for persons with insulin sensitivity. Soak bengal gram dal for one hour. Grind it in a mixer to a smooth paste. Grind dry red chili, peppercorns, cumin seeds and kasoori methi in a mixer and add to the dal paste. Add amchoor, ginger-garlic paste, garam masala, curd and salt to the paste. Combine everything and cover it. Refrigerate for 1-2 hours. 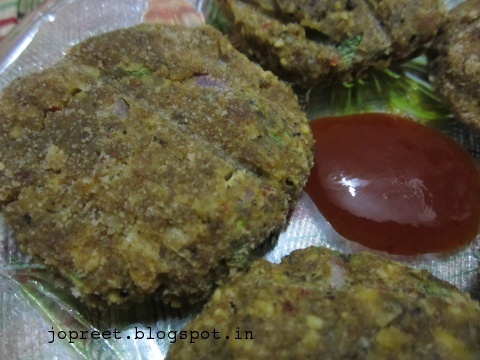 Take it out and mix chopped onions and coriander. Make small balls of the mixture and then form shapes like a disc. 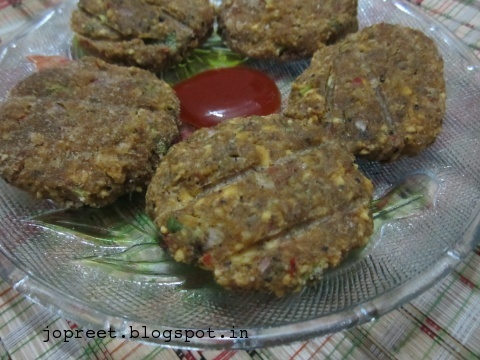 Spread bread crumbs to hold the kabab together otherwise it will break. Preheat oven to 240 Celsius. Grease oil over the tray and grill the pieces by applying butter over it. Squeeze lemon juice over the grilled pieces and serve hot with mint chutney or any chutney of your choice.